If you are a fan of basketball, then chances are high that you must be familiar with Avery Bradley, the remarkable shooting guard of the Los Angeles Clippers. Though Avery’s physical build might be better suited for the position of a point guard, he has proven exceptional as a shooting guard – a position reserved for the taller players. With strength, tenacity, and quickness, Avery makes up for his deficit in height for his position. The young star played high school basketball and went on to play college basketball for Texas University, Austin before his NBA Draft in 2010 as the 19th overall by the Boston Celtics. During his seven seasons with the Celtics, Avery Bradley was recognized as NBA All-Defensive Team Member twice. 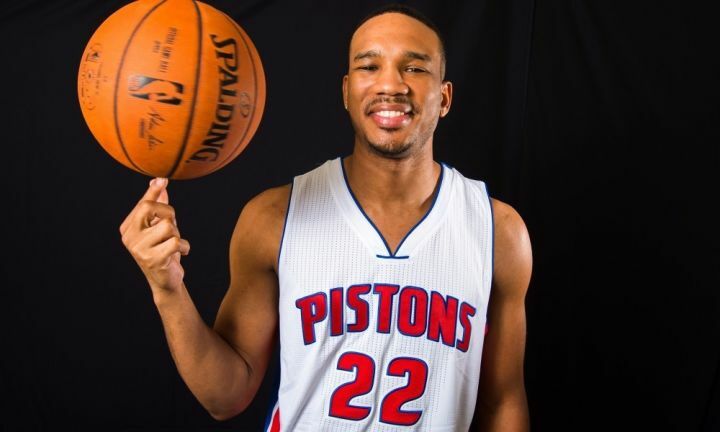 His trade to the Detroit Pistons in 2017 also yielded positive statistics but by January 2018, Avery was traded to the Los Angeles Clippers. Avery Bradley is known to possess exceptional athleticism and explosiveness which aided him in winning the 2009 Slam Dunk Contest at the McDonald’s All-American Game. Avery Antonio Bradley Jnr was born on the 26th of November 1990 to Avery Bradley Snr. and Alicia Jones-Bradley in Tacoma, Washington. He grew up in the company of his two elder brothers, an older sister, and a younger brother. His father has been with the military for over two decades while his mother worked as a staff in a welfare office. After his parent’s official divorce in 2001, the young sportsman moved in with his mother but still maintained a strong relationship with his dad who was always on the move because of his career. Avery Bradley became a Texas fan when his family relocated to Arlington, Texas in 2001. They eventually moved back to Tacoma in the Summer of 2004 before Avery started the eighth grade. The young athlete attended Findlay College Prep where he played basketball before later proceeding to the University of Texas in Austin for further studies. During his freshman year in Texas University, Avery Bradley recorded an average of 11.6 points for the Longhorns team which earned him the position of one of the top defensive guards in the country. He was eventually drafted in the 2010 NBA Draft as the 19th overall for the Boston Celtics. Beyond playing in the NBA, Avery has gone on to establish an organization known as the Avery Bradley Skills Academy. He has also hosted a basketball camp for kids in the Boston area during the summer of 2014, showing his charitable nature. Presently, Avery Bradley is happily married to Ashley Lauren Archbald Garcia, who had been his long-term girlfriend before they officially tied the knot in 2015. Avery and Ashley met through Facebook when he was 19, through a mutual friend. Prior to getting married, the couple welcomed their first child two weeks after the death of Avery’s mother – Alicia. Their son, Avery Bradley III or AB3 as he has been nicknamed was born on the 24th of September 2013. The couple seems to still be blissfully in love after many years together. They are often spotted in public functions together even though they generally tend to keep a low profile. This explains why there isn’t much to find in Ashley’s background and profession. But the general assumption is that she has a thriving career that keeps her busy. While we’re certain that her new found life in the spotlight might be an adjustment for her, Ashley seems to be taking it all stride. The talented basketball player stands at a height of 6 feet 2 inches (1.88m) and weighs a corresponding 82 kg (180 lb) in body mass. Presently, his other body stats are not known to the public. Given his chosen career, it is relatively easy for Avery Bradley to remain is such great shape. The shooting guard’s total net worth is estimated to be a whopping $26 million. An extensive breakdown of his net worth shows an annual salary of $8.809 million, personal investments worth $11 million, seven luxury cars whose brands include; Mercedes, Range Rover, and Nissan. Also incorporated as part of his net total worth is his luxury house located in Washington which he purchased in 2012. Currently, the house is worth $1.8 million in estimated value.